If you are tackling a furniture project that requires painting a bunch of drawers, this should save you precious time and prep work, while still giving great results. This technique will only work with a paint sprayer – just so you are aware. 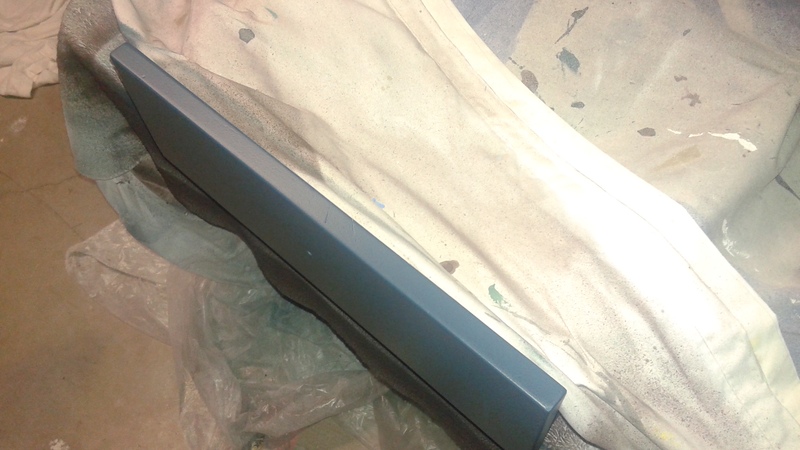 A sheet to cover the table (again, if that matters to you) and one to cover the back portion of the drawer while it is being painted. A board the length of the drawer front or longer. A straight edged piece of cardboard that is manageable and can be handled easily. 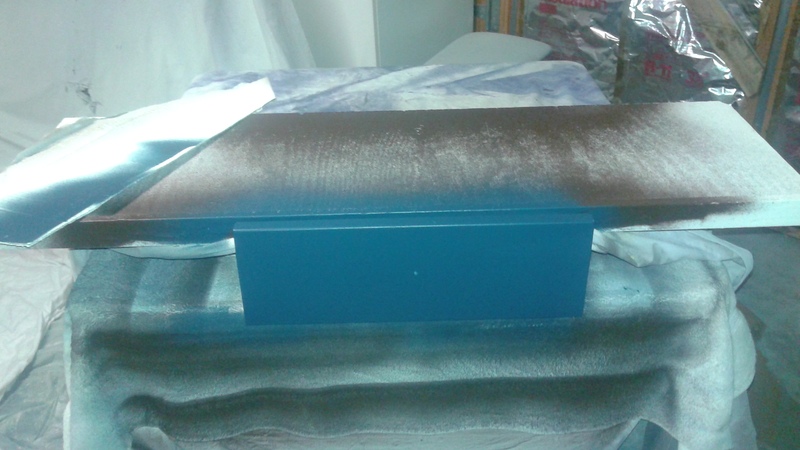 Place the drawer to be painted on the table and cover the back portion with the sheet and the board on top. I push the board up against the back part of the drawer. 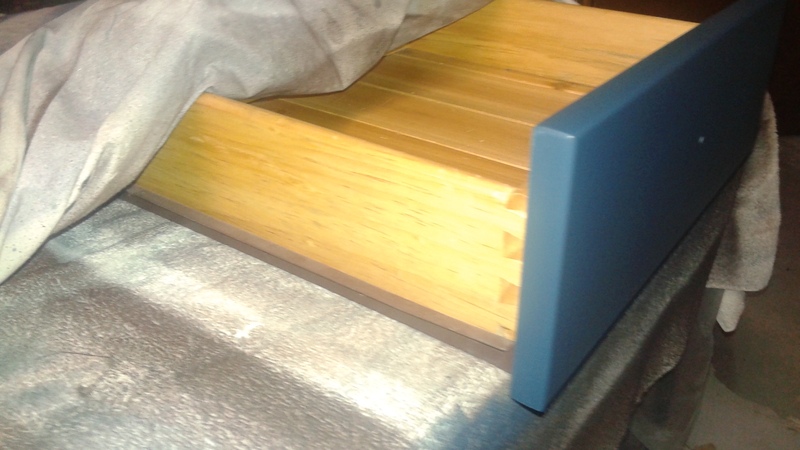 With my sprayer ready, I start spraying the drawer front. 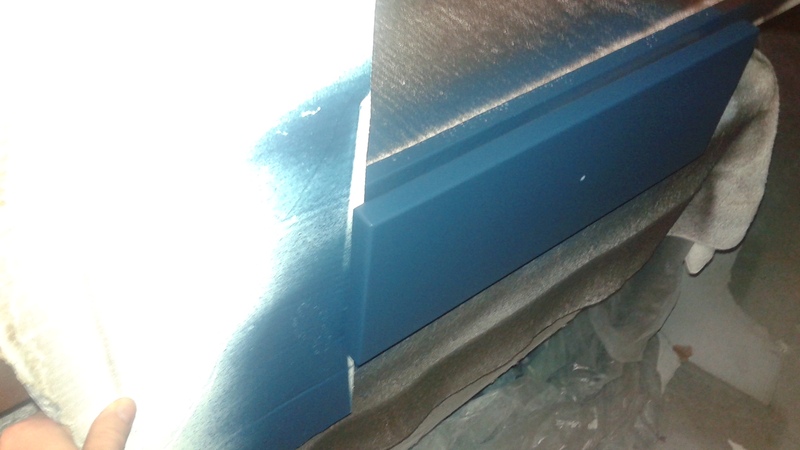 When I come to the left or right edge of the drawer front, I use the cardboard to ensure that the paint stays off the back of the drawer (see picture). That is the process in a nut shell. 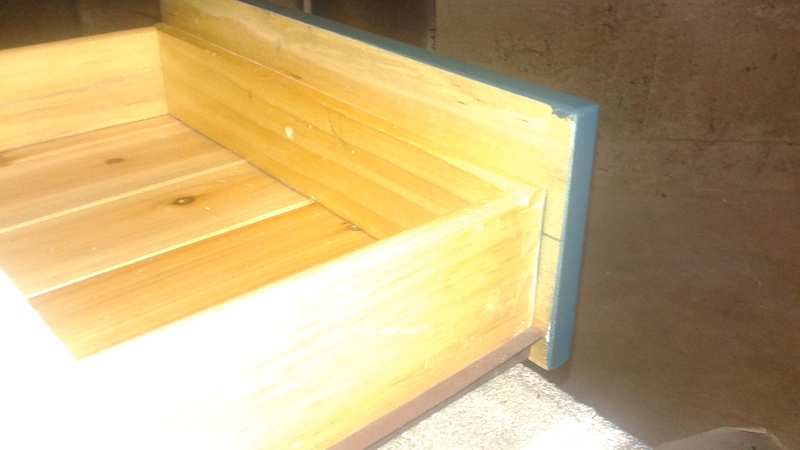 This method is pretty easy and very effective in giving your drawers a nice finished result. You will need to repeat the process 2-4 times to ensure proper coverage. Make sure you pay close attention to the edges, as these are the toughest spots to get, so be careful and thorough. Let me know if you have any questions!! Hope you find this helpful! < Previous Room E-Design Give Away! !